In this newsletter we look back on 2017 and uncover some perspectives for next year. One year ago, we moved in the new building in Brno-Lišen and there is not one day that we do not realize how lucky we are to work in this perfect place. Moving in a modern place was needed to become more efficient and enable to grow, both conditions for reaching a break-even in the finances. The WAW production and sales are on a stable level. We work on production number WAW 363 and approach the 50 WAWs produced in 2017. The WAW is a mature bike and the focus is now less on R&D and more on increase of efficiency in production and sales support. Several tutorials made by David, a real artist and our guest last summer, are available on our website and explain how to get started and maintain your WAW. David made also an updated and very nice presentation of the WAW. After thoroughly testing the WAW, Matthias Erz from Flevelo, in Lübeck, North-Germany decided to be our dealer in that region. With his experience and commitment, the improved WAW makes more and more happy customers there. Having now the possibility to receive customers and organize test rides, Katanga in Brno also acts as a direct sales point for customers in its region. Volker from Austria on picture hereunder was one of these customers but a very special one: He bought his 3rd WAW in a period of 10 years! In between these purchase he did try and buy other velomobile brands but at the end he always came back to the WAW, as he likes it the most. Since more than 2 years we cooperate with Velove for the production of frame parts of their cargo-bike, the Armadillo. 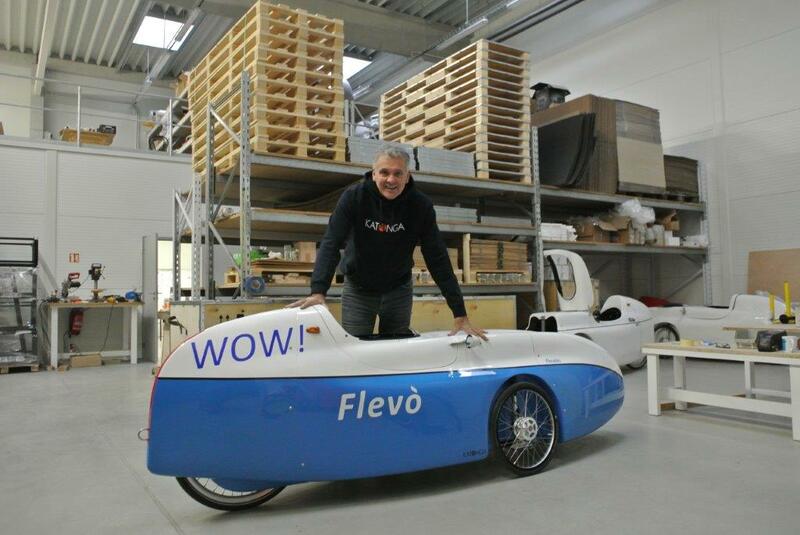 Flevo Bike Technology participated in the development of this cargo bike which offers real alternatives in urban delivery and has a promising future. 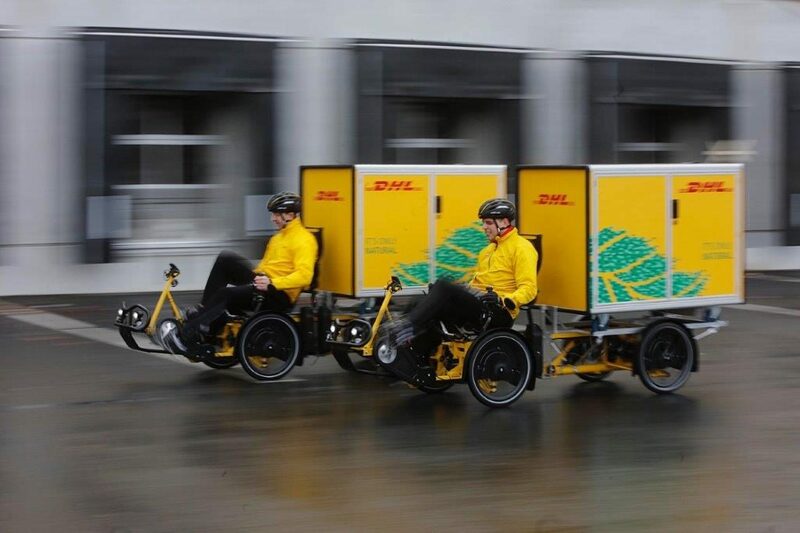 DHL has been successfully testing this bike and calls it the Cubicycle. Read DHL Press Release for more info or admire the video. Besides production of frame parts also assembly of the Armadillo (for bigger customer accounts) should move to Katanga in the next months. This important increase in activity is an opportunity for Katanga to jump to another level, enabling it to pay the rent of the new location, too high for the WAW activity alone, and attract more employees to create a strong team. Both velomobiles and cargo bikes have in common that they offer real bicycles alternatives for cars and solutions for clean transport. We are very motivated to participate in this and to modestly contribute to a badly needed change in habits. 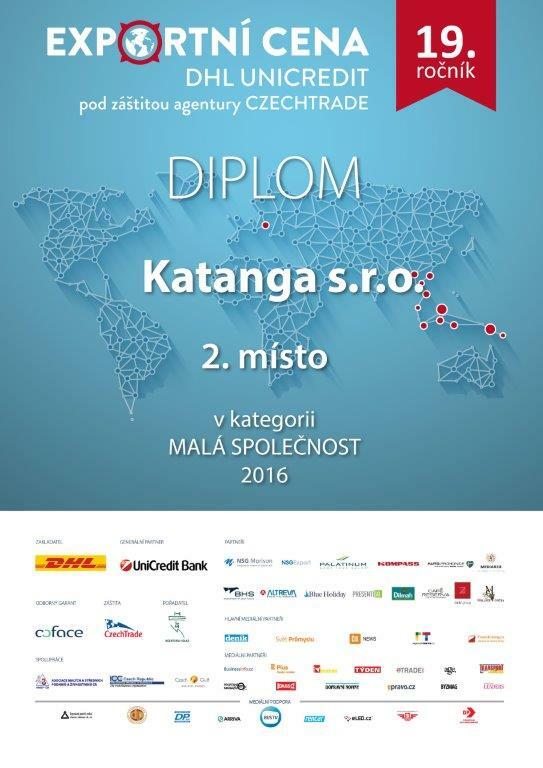 Purely coincidently because unaware that we cooperated in the production of their bikes, DHL together with UniCredit surprised us with the attribution of the second place of the 2016 export price in the category of small companies. A motivating reward! The R&D agenda for 2018 will be reserved for the development of a completely new, sportive velomobile. 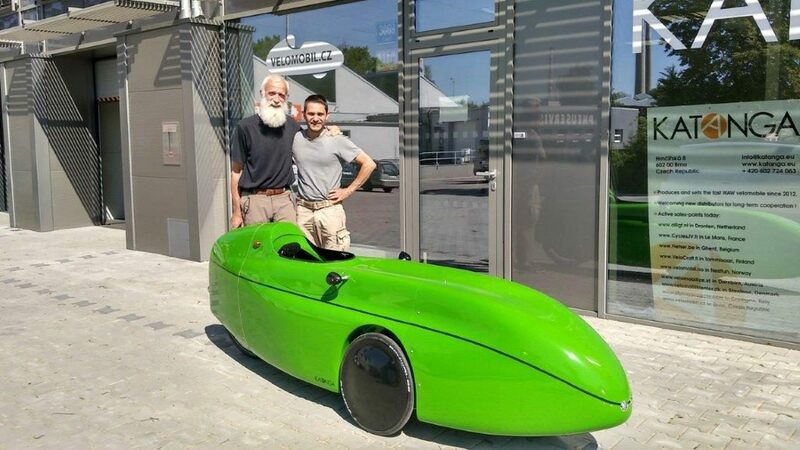 This project will take more than one year but can lead, if successful, to the production and commercialization of another velomobile brand offered by Katanga next to the WAW. You will be updated at the right time. If all turns out as planned the year 2018 will be a year in which Katanga will grow from a micro, family company into a broader team with more dedicated functions. For me personally it will mean that I can delegate part of my many tasks. To conclude, let me share a video of this year’s trip to France. This time the younger generation assisted me with Smart phone and filming. 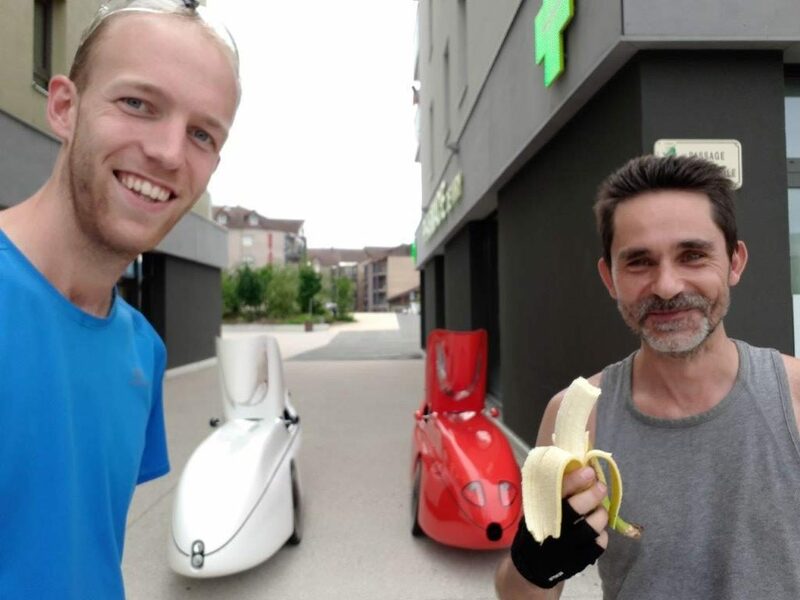 Travelling with 2 was also more fun… The chosen track, this time calculated with Brouter, was much more adapted to velomobiles and it allowed us to shorten the trip with more than one day and 200km without removing anything from the pleasure of driving. Many thanks to all our customers, supporters and partners. Wish you all a very happy Xmas and all the best for the new year! Stephane, the 26th of November 2017, Brno. Hi Stephane. Thanx fore a very informative and nice meet in Brno in October. Very informative, and "to the point" newsletter fore 2017 also. Have you got some idea of freigth costs fore the WAW from Katanga to Tønsberg in Norway ? (Or Oslo, 100 km from Tønsberg) Regards to you and your Family, inc. Wolfdog... Call you next week. Rune. 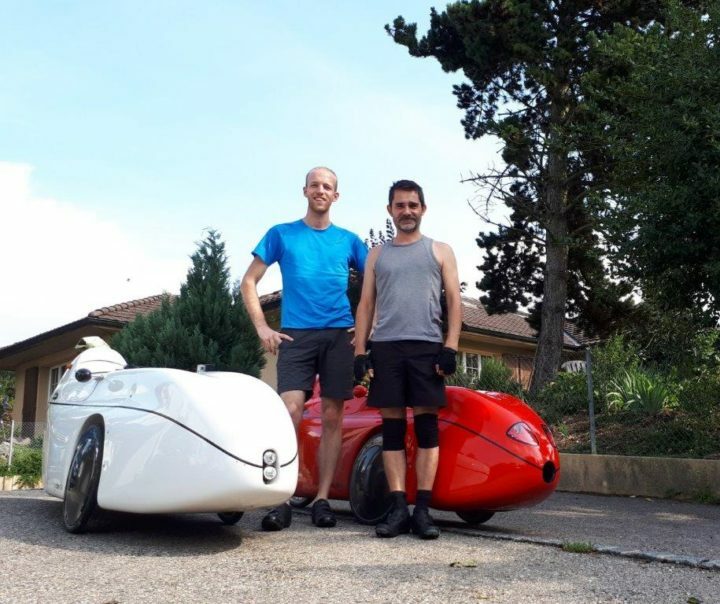 Hi Stephane, which BRouter profile was used for the velomobile trip to France? wm-forum-liegerad-schnell? wm-forum-velomobil-schnell? Or even a custom BRouter profile? Hi Where are you located in Europe with the main factory/office? I would like to make a test with the new Katangaride and look at it ! Be kind to reply to by e.mail address. Thank you. Workshop : Flevobike liggesykler & parts Martinius Berg Randsfjordvegen 155 2860 Hov. Norge. Which nose is mounted on the reddish WAW Stephane was riding? Buen día. Mi nombre es Omar Justiniano B. Me encanto este vehículo me parece la mejor alternativa de todas, esta hermoso el vehiculo. Como me encantaría poder traer el vehiculo y como alternativa a mi país, mas específicamente a mi ciudad. Espero algún día puedan invertir aquí y apostar por nuestra hermosa ciudad. Dios los bendiga. Un cordial saludo, que la sabiduría este de su lado. Muchos éxitos. Santa cruz de la sierra - Bolivia. Thanks to the 1500km trip (You Tube) I decided to buy an E-WAW. I hope to have as much fun with it. There will also be an art project, together with the WAW! More news follows.